The solution? Composting! About one third of household waste is compostable. 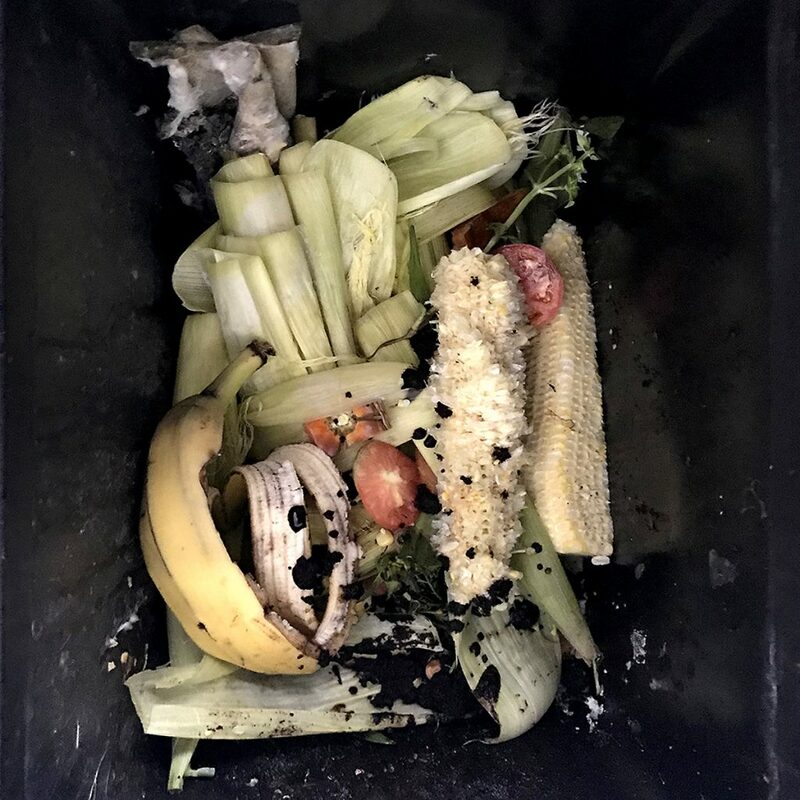 If you’re lucky enough to live in a city that has a municipal curbside composting program, participate! If not, compost your household organic yourself (read about my composting system below). Even if you personally don’t have a need for the resulting soil, you could easily give it away to someone who does! First, I line the bottom of my 10-gallon kitchen compost bin with a few inches of shredded office paper to absorb moisture (no plastic here!). You could also use torn newspaper, cardboard, egg cartons or similar material. After a good rinse, I wash the compost bin using my DIY all purpose cleaner and a cloth rag. If possible, I’ll leave it outside in the sun to dry to help neutralize any remaining odors. Once it’s clean, I bring the bin back inside and start the cycle again. With my setup, the compost is good to use as a soil amendment after about one year. It takes closer to two years before I have something resembling soil. That might be because composting slows down considerably during the long winter months here in Quebec, Canada!